Cowley College offers a wide variety of courses specifically designed for transfer. This enables you to complete your first two years of coursework leading toward a bachelor's degree in virtually any field of study at a four-year college or university. The keys to a successful transfer are to start planning immediately and to select your coursework carefully. Go to Transfer Information to read more. Go to Graduation Requirements to read more. 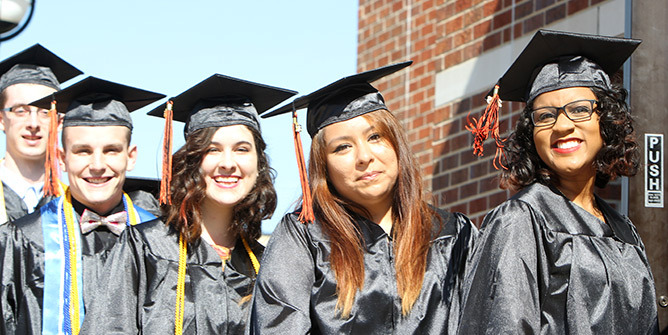 The Registrar's Office provides and maintains the quality, accuracy, safekeeping and confidentiality of academic records for all Cowley College students. From registration in courses, collection and posting of grades to final degree evaluations and postings, all aspects of a student's academic record are handled in this area. Go to Registrar to read more. In accordance with 34 CFR 668.6(b), that requires institutions to disclose certain information about the programs to prospective students. This information includes answers to basic questions about costs, financing, and length of the program. Go to Gainful Employment to read more. Tiger Connect is a secure, interactive Student Information System that provides on-line access to confidential information about student records and course information. Tiger Connect is your source for online information. Go to Student Login to read more.